Heroes come from everywhere. During the fight for Texas independence many people sacrificed for Texas freedom. No one did more than Juan Seguin. A member of a prominent Texas family, Juan Seguin served well during its uncertain beginnings. Join Juan and his friend Pablo Gomez as they live through one of the most exciting times in Texas History. Follow the adventures of Juan and Pablo from their childhood to the battles of the Texas Revolution. Ride with them from the Alamo as they carry a message from Colonel WIlliam Travis through enemy lines to the people of Texas.Be with them as they follow General Sam Houston on the trail to San Jacinto. Fight with Juan as the Texas army destroys Santa Anna's army and brings freedom to Texas. Return with Juan to the Alamo as he buries the ashes of the fallen defenders. 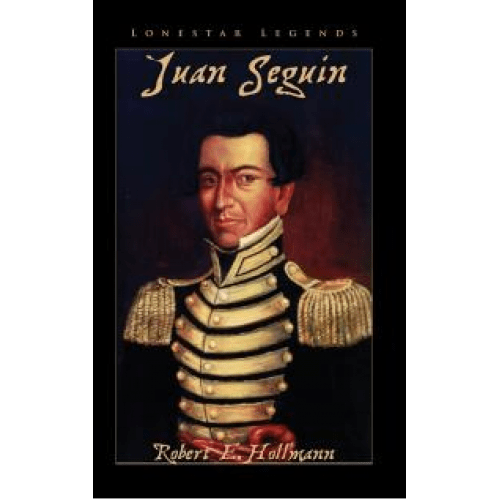 Get to know one of the true heroes of Texas Independence...Juan Seguin.